and that by using the health benefits of lemon water combined with a near calorie devoid diet, both unwanted pounds and dangerous toxins can be removed from the body. The first rule of “starvation based fad diets” is to avoid them completely. You can do serious damage to your body by substituting the health benefits of lemon water for food. One is simply not equal to the other. In fact, when Beyonce combined the health benefits of lemon juice, cayenne pepper and maple syrup together for a movie role, her “quick cleanse” allowed her to lose 20 pounds. However, the weight came almost right back and Beyonce herself did not recommend the master cleansing diet to others. Now, don’t go getting all mad at lemons though, there are some genuine health benefits of lemon water that can be effective for weight loss, they just need to be used properly and not for blood cleansing and detoxification. If you are looking for a natural diuretic for instance, lemons might just be for you. By reducing water weight, it actually is possible to experience the health benefits of lemon water in the form of weight loss. Some people choose to simply add a few wedges to a glass of ice cold H2O while others elect a more potent taste and opt instead for pure lemon extract mixed with their water. Regardless of how you choose to get your lemon, there are many health benefits of lemon water that go beyond detoxification and weight loss programs. They contain vitamins and minerals (many of which healthy levels of will actually help assist in removing harmful toxins from the body) and antioxidants that can help keep your whole body healthy by fighting off free radicals. They are even useful on your skin, able to help combat acne and the like. 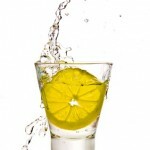 If you choose to use the benefits of lemon water for weight loss or blood cleansing, you might be pretty disappointed. Mostly water weight is what you can expect to lose weight, but it can very quickly return as it’s typically only water. Detoxification of the organs, blood and colon is best left to those particular parts of your body, and it works well enough on its own without needing any help from hokey detoxification programs. Your liver, colon and kidneys are all equipped to remove the toxins that they need to. However, no matter why you choose to add lemon to your beverages or incorporate it into your life, you will experience the many health benefits of lemon water and the fresh fruits in various ways both inside and out.